To develop Critical Neville Haze the Delicious Seeds' team crossed Critical Mass with a superb specimen of the original Neville Haze. The latter is a very famous clone and really difficult to find and means that this strain possesses some haze characteristics that are very difficult to beat. 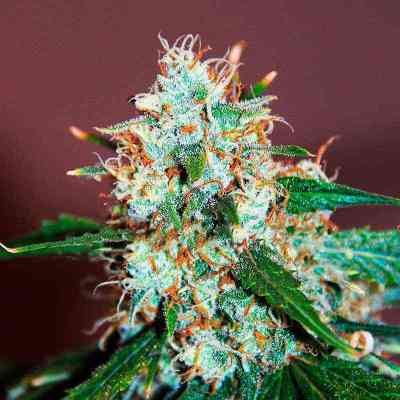 Compared to its sativa predecessor, this strain is quicker and simpler to grow indoors. The main factor that needs controlling is the height as this strain grows tall and looks like and has the same morphology as a pure sativa. Outdoors, and especially if planted directly in the ground, develops tremendously with large branches that sprout in all directions. The flowering phase is short and it could be ready in just 70 days. Typical haze aroma of spices with hints of wood or coffee. Floral back notes can also be detected. The taste, like the smell, is of strong incense with added menthol or pine notes. Very strong sativa effect. Hardly any bodily effects except for mild arousal. Not sedative or narcotic. Occasional users may find the psychological effects of this strain too intense. Notwithstanding, experienced sativa smokers will find this strain a delight that can be enjoyed at any time of day.